AP - Duke is back in a familiar place - No. 1. The Blue Devils advanced one spot to replace Indiana at the top of The Associated Press' Top 25 on Monday, drawing closer to UCLA's record for most No. 1 rankings. It is the 123rd week Duke has been ranked No. 1, 11 weeks behind UCLA. 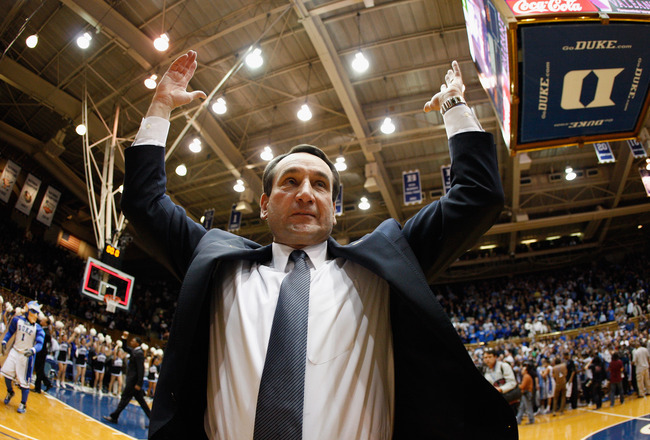 All but 31 weeks of Duke's stay on top have come since the 1991-92 season. The Blue Devils' last time at No. 1 was an 11-week run in 2010-11. Butler (8-2), which beat then-No. 9 North Carolina last month in the EA Sports Maui Invitational, moved into the poll at No. 19. This is the Bulldogs' first appearance in the rankings since the first week of 2010-11. North Carolina, with 107 weeks, is the only other school ranked No. 1 for at least 100 polls.